(Bloomberg) -- Honda Motor Co. will raise workers' monthly wages after a parts factory strike shut down almost all Chinese production. The workers will receive a 24 percent pay increase to 1,910 yuan ($280 dollars) per month, Honda said in a faxed statement today. Most workers have accepted the offer, while talks continue with those who are unsatisfied, the automaker said. Production at all four Honda car factories in the country will remain suspended through at least Wednesday, with plans beyond that date to be decided tomorrow, the company said in a separate statement. Production of manual transmissions at the parts plant resumed today. The maker of Accord and Civic cars shut down all four of its auto assembly plants in China last week after workers at the parts unit walked out, demanding a pay raise. The strike, the first to stop Honda's production in the country, may be reducing its output by as many as 3,000 vehicles daily, analysts said. “My guess is that it will take less than a week to get production back at full capacity once the strike is resolved,” Tianshu Xin, managing director at IHS Global Insight in Shanghai, said prior to the settlement announcement. Honda will likely add shifts to make up the lost production, he said. The carmaker shut two plants in Guangzhou, Guangdong province, on May 24 and factories in Guangzhou and Wuhan, Hubei province, on Wednesday after 1,850 workers making transmissions and engine parts at Honda Auto Parts Manufacturing Co. in Foshan, Guangdong, went on strike May 17. A line making manual transmissions at the parts plant reopened today, Yasuko Matsuura, a spokeswoman for Honda, said by phone. Other production lines at the plant remained shut. The striking workers had demanded monthly pay be boosted to between 2,000 yuan ($293) and 2,500 yuan, Matsuura said Thursday. 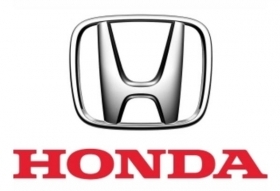 The original salary of about 1,500 yuan was already far above the legal minimum wage of 920 yuan, Honda's auto parts division said in a statement. "We are currently trying to convince those who continue to object to the offer ... to return to full operation as soon as possible," the company said. Honda produces about 3,000 vehicles a day in China, according to Koji Endo, a Tokyo-based analyst at Advanced Research Japan. The affected factories, joint ventures between Honda and its Chinese partners, make models including the Accord sedan and Civic compact and have combined annual capacity of 650,000 units. China accounted for 17 percent of Honda's global sales last year, and the brand ranked fifth in China by unit sales in April, according to J.D. Power & Associates. Honda may increase China sales 9 percent to 630,000 vehicles this year, CEO Takanobu Ito said last month. Honda plans to raise production capacity in China by 28 percent to 830,000 vehicles a year by the second half of 2012 and introduce two new models as car demand grows in the country, Ito said in Guangzhou on May 25. Auto sales in China may rise 17 percent to 16 million this year and annual demand may climb to more than 30 million, according to an official at the State Information Center. The strike is a sign that automakers can expect rising labor costs in China, according to Yasuhiro Matsumoto, an analyst at Shinsei Securities Co. in Tokyo. Trade unions and employers appear to be reporting a growing number of work stoppages in China, although there are no official numbers, according to the International Labor Organization in Beijing. “To enhance workers' payrolls, production costs will rise,” said Tatsuya Mizuno, director at Mizuno Credit Advisory in Tokyo, adding Honda's image in China may have been tarnished as a result of the strike. Elsewhere in China, more than 1,000 workers at a parts factory near Beijing that supplies South Korea's Hyundai Motor suspended work for most of Saturday to demand higher wages. They returned to work after management promised a pay rise, local media reported. "There was a little production disruption on both May 28 and 29, but it has been back to normal operations since May 30," a Hyundai spokesperson said in an e-mail from Seoul.